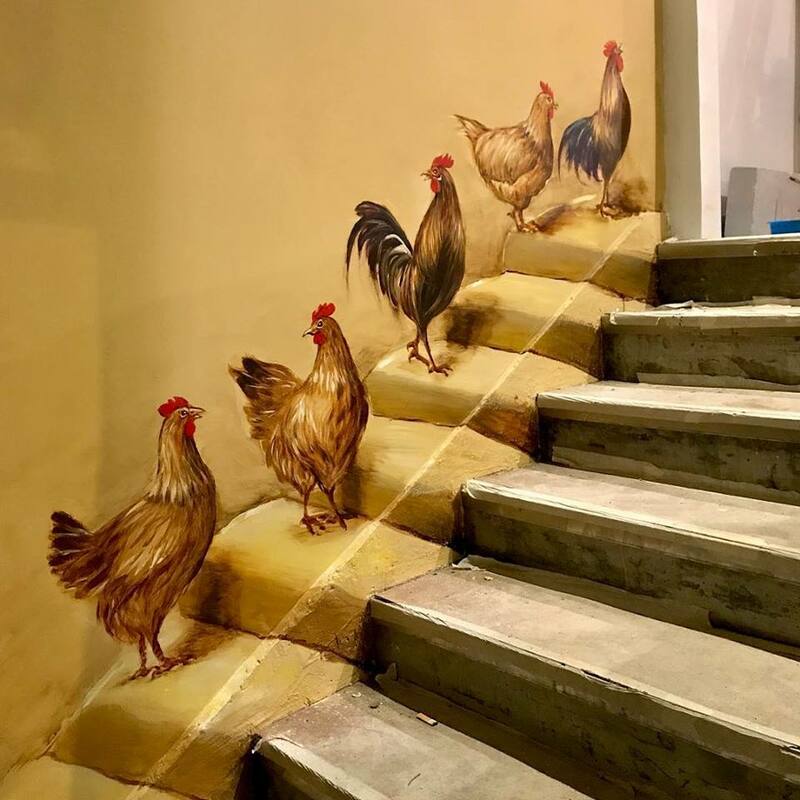 As you follow the “chickens” up the steps, you will enter exotic “Peru” – Machu Picchu welcomes you at the door! 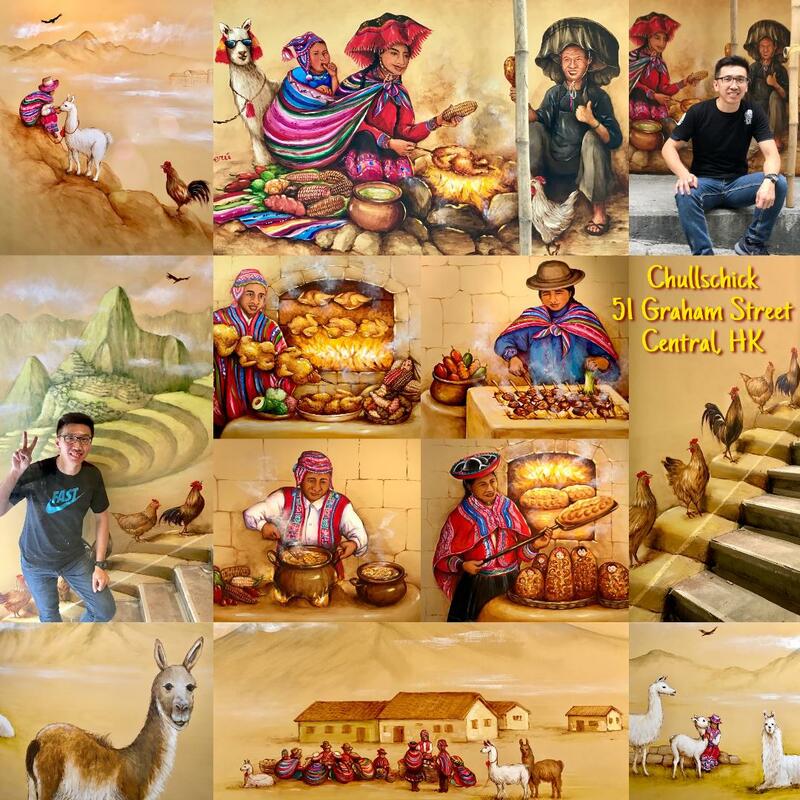 Inside the restaurant, I painted a 12m long mural depicting colourful Peruvian food culture, Andean highland markets and sceneries, plus the mysterious Nazca lines. 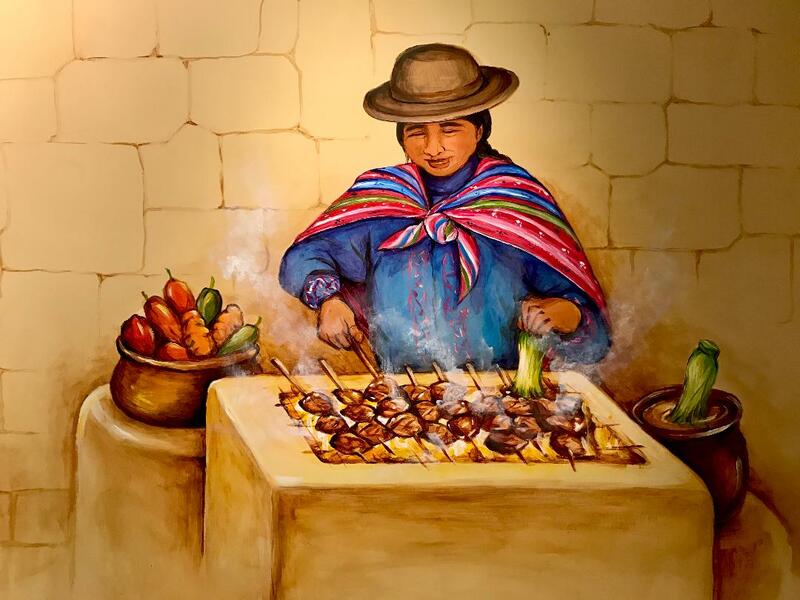 Since a visit to Peru in 1998, I have fallen in love with Peru’s rich and colourful culture. These murals were painted with personal connection and passion. Enjoy Peru in Hong Kong!